Not too long ago there was an uproar over James Moore’s biography of Lord Pentland, with Moore expressing exasperation with the man he had met on one or two occasions, and with readers (and non-readers) of his biography who rushed to the defence of the man who was their teacher. For those who missed the catcalls and the catfight, here is some background information. Henry John Sinclair (1907-1984), 2nd Baron Pentland, was appointed by G.I. 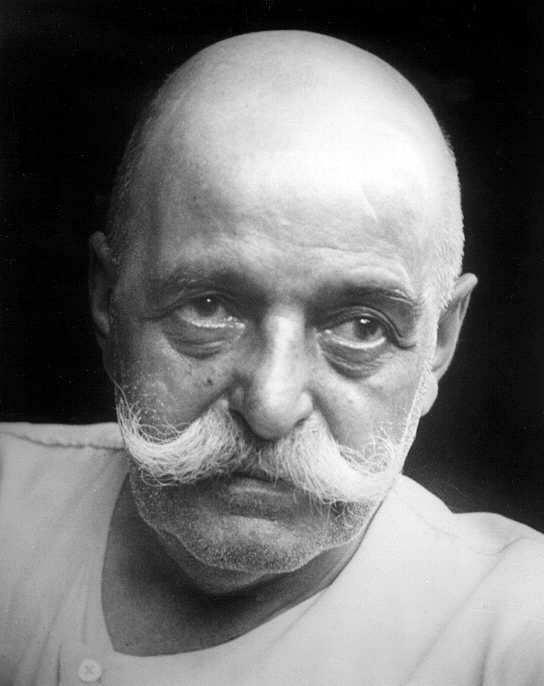 Gurdjieff to lead the Work in North America. He became the first head of the Gurdjieff Foundation of New York, leading that centre from its establishment in 1953 to the time of his death. 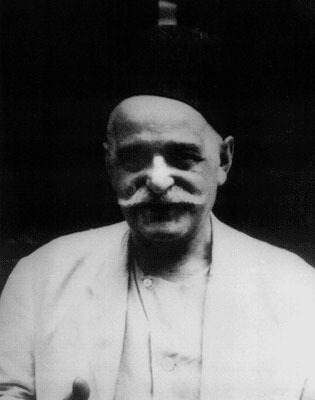 As well, he oversaw the founding of the Gurdjieff organization in San Francisco, and over the decades he addressed countless study groups and met innumerable students throughout the United States. I am not aware that he ever ventured across the Canadian border. He was said to be selfless in his devotion to the Work. A rule of thumb – my thumb – is that those people who knew the Baron personally, whether colleagues or students, were quite attached to the man and most protective of him – he does look frail in photographs, almost cadaverous – whereas those who knew him impersonally or peripherally, or not at all, were less disposed to be appreciative or even generous about him and the role he played. A wake-up call was James Moore’s book “Eminent Gurdjieffians: Lord Pentland” which gave the man and the leader no quarter. I reviewed this stylishly written biography upon publication for this website, and it remains the sole biographical inquiry of any length devoted to the man and his work. On another occasion I summarized some of Lord Pentland’s published talks. I will not repeat here what I wrote there. I think readers may view the present publication “Remembering: Being with My Teacher” as an attempt to re-right the wrong, to re-balance of scales, to set the record straight, by offering at least one former student’s emotional tribute and appreciation of Lord Pentland at work and at play. On that level the publication succeeds. Now that Lord Pentland and James Moore have been identified, the only other person to describe is Ashala Gabriel, the author of the publication. 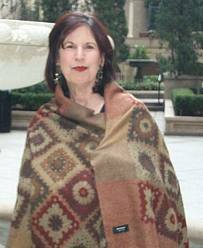 She is a woman in her early seventies, who has for many years worked in New York as an independent literary agent, copywriter, and psychic (or mystic, as she prefers). Ms. Gabriel is a graduate of Brown University, with a Master’s degree in TESOL (teaching English as a second language) from Hunter College, and a Doctor of Divinity degree or certificate from The College of Divine Metaphysics. Never before have I heard of anyone who bore the name Ashala, so I checked the website Quick Baby Names where I learned the following bits of information. The website states that the name is a variant of Ashley which was popularized in the movie “Gone with the Wind.” The website continues: “As a baby girl name, Ashala is currently not a popular baby name in the USA.” The website concludes, interesting, that the name describes “a professional woman with good tastes and values, but is quite shy.” Whether or not this is true of the author Ashala Gabriel, I do not know, never having met her. But reading her prose, I do not judge her to be particularly shy, though, yes, she is somewhat tentative and certainly a sensitive woman. Ms. Gabriel is the author of “Remembering: Being with My Teacher” published by CreateSpace in New York and her book is available through Amazon and Indigo. The trade paperback measures 6″ x 9″ and is 154 pages in length. One unusual feature of the publication is the pagination. Printers customarily reserve the number 1 for the first page, the one on the right. In this publication, the number 1 appears on the left-hand page (which means there should be a page 0)! The story I liked the most – because it tells us as much about Ms. Gabriel as about LP – is “cans-and-cabs.” It describes how LP set Ms. Gabriel a number of tasks to be completed in record time in downtown Manhattan a few hours before they were ticketed to fly from New York to San Francisco. Suitcases had to be claimed, delivered, etc., and she was ordered to arrive by cab outside the Waldorf Astoria to pick up LP: “Now be exactly on time, and not a minute too early.” The author describes how she conscientiously and breathlessly accomplished all of this, at one point trusting the good will of a New York taxi driver to safeguard a trunk full of reels of films of the Movements. As the cab pulls up with her and the trunk with its valuable consignment, LP descends the hotel’s steps. She had arrived at the hotel precisely on time. “Well done,” LP smiled, rather like the Cheshire cat. On occasion I have found that the first and last words of a book may be used to summarize its theme or content. This is so with the present book. Its first word is “my,” and its last word is “legacy.” Indeed, “Remembering: Being with My Teacher” is the author’s legacy, a tribute to Lord Pentland. 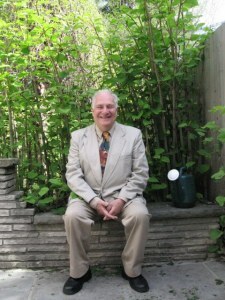 John Robert Colombo, author and anthologist, contributes the occasional book review to this website. He is known across Canada as “the Master Gatherer” for his compilations of lore and literature. He is currently collecting for publication the non-fiction writing of Sax Rohmer (the creator of Dr. Fu Manchu). The text of Colombo’s speech titled “Fantastic Elements in the Fiction of Sax Rohmer” appears on his website < http://www.colombo.ca >>.